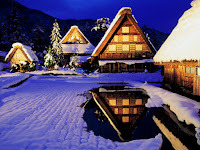 Shirakawago has a special place in my heart with its beautiful scenery and traditional old farmhouses. The UNESCO World Heritage Site is one of Gifu Prefecture’s must-see travel destinations and is famous for its collection of thatched roof houses built in the gassho-zukuri style. The historic village is home to 112 of these gassho-style houses with the traditional thatched roofs resembling the hands of Buddhist monks pressed together in prayer. Some of these historic houses are more than 250 years old with the unique architectural style developed over generations to withstand the heavy snow fall during winter of this remote region of Japan. The small village is home to only about 1,700 people but around 1,700,000 visitors come every year, especially around the time of the beautiful light-up event in January and February. This magical illumination event turns the village into a winter wonderland straight out of a fairy tale. The Shirakawago Tourist Association has partnered with Japankuru Funding, a crowdfunding service to create a community made guidebook for the Shirakawago Light Up Event, which runs every weekend from January 19th, 2019 to February 17th, 2019. The guidebook will help people attending the event have a better time and enjoy the experience further by providing tourists with key information such as where to eat, what to see, what to do and how to best enjoy Shirakawago. If you are interested in helping the project, visit the Shirakawago Light Up Event Guidebook page and help the community create this useful resource. Here would definitely make for one great end-of-year trip; particularly for fans of the Higurashi no Naku Koro ni series. Not sure how much the small town appreciates being the inspiration for the popular horror franchise. Nevertheless, reading this makes me want to go all the more. Hello! Thank you for your comment. Winter is one of the best times to visit Shirakawago. I hope you can make a trip here one day. Hi! 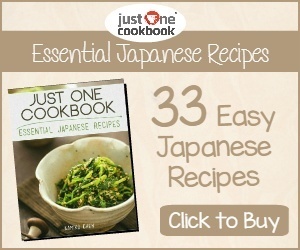 Thanks for the interest, I'm the English writer for the crowdfunding site. From what I've been told, they don't mind the popularity from it! It just adds to the different things that are related to it! Friendly, informative travel blog. Love it!